Looking for a discount? Please check our Facebook, Instagram and FAQ pages for available discounts. We are now offering covers for your All New 2019 Chevy/GMC 1500 Pickup. Sign up for our monthly email digest of news and events. Marathon Seat Covers has been designing and manufacturing custom seat covers for trucks and SUV's since 1978. Our seat covers are made of the highest quality waterproof Cordura® Nylon and come in a variety of solid and camouflage patterns. Accuracy of fit and quality of fabric set ours apart. We make the best fitting custom solid and camo seat covers for every major truck and SUV on the market today. 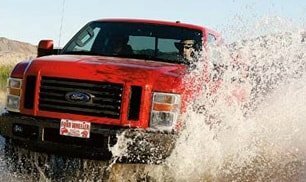 Whether you've got a Ford, Chevy, GMC, Dodge, Toyota, Nissan, Subaru, Jeep, Honda or Hummer, we've got you covered! ©2019 Covercraft Direct LLC. All Rights Reserved.